Bendheim's Unitized Channel Glass Facade System has won an award for innovation and good design in the prestigious GOOD DESIGN™ awards. The system was recently featured in the Children's Hospital of San Antonio. Bendheim announced today that its Unitized Channel Glass Façade System is the winner of the prestigious GOOD DESIGN™ award for innovation and design from the Chicago Athenaeum Museum of Architecture and Design. Founded in 1950, GOOD DESIGN™ is the oldest and most respected program for design excellence worldwide. Awarded corporations represent some of the world’s most visionary FORTUNE 500 companies, including 3M Co., Apple, Inc., and Porsche. A project of this complexity required a partner with integrated design knowledge, manufacturing capabilities, and installation experience. 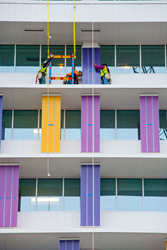 Bendheim’s technical design team collaborated with the architects and installers to develop the innovative customized system, ensuring the colorful façade units could be easily hoisted, aligned, and secured into position. This resulted in an exceptionally fast installation with visually striking results, and contributed to winning the Award. For 90 years, Bendheim has built its company on successful collaborations with building professionals, providing unprecedented knowledge and expertise. The company specializes in transforming design challenges into opportunities for creating unique solutions. For more information, please visit http://www.bendheim.com. 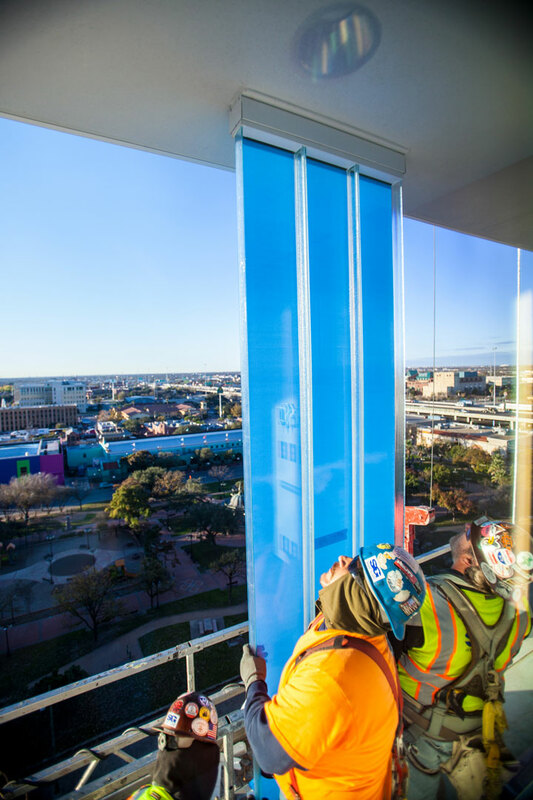 Bendheim unitized channel glass being installed at the Children's Hospital of San Antonio.